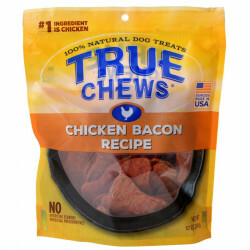 True Chews dog treats are always made with 100% natural ingredients, made and sourced in the USA. 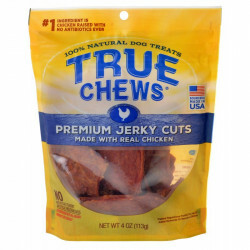 All True Chews meaty treats are made with real, premium cuts of meat as the #1 ingredient, with no artificial flavors or preservatives, animal by-products, or corn, wheat, or soy, you can feed them to your furry friend with no guilt! 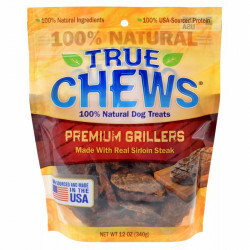 The pet lovers at True Chews think finding a dog treat that doesn't cut corners or use sub-par ingredients shouldn't be difficult - and we at Pet Mountain agree! 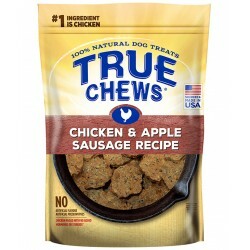 True Chews believes that life is a journey, that dogs are family, and that companionship makes us happy. 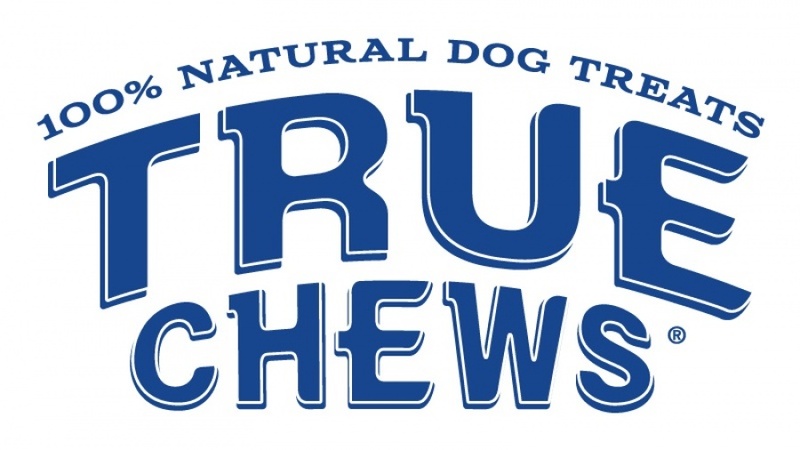 For over 10 years, the pet parents at True Chews have been inspired by their own dogs to provide the treats all of our pets deserve.